How to Clean Up Your Email Prospects List? Although, every element in an email marketing campaign needs special attention, prospects list needs utmost care. A clean list of prospects offers many dividends such as fewer complaints, lesser bounce and higher email deliveries. Why You Need A Clean Email Prospect List? Cleaning up prospects list simply means weeding out bad email IDs from the list. This is important for many reasons. Post cleaning, your list ends up with those prospects who could likely be interested in your products. Another advantage of having a clean email list is reduced cost that marketers have to pay to email service providers. Most service providers charge on the basis of email list size, it’s unwise to pay for an inflated list containing non-existent and vague email IDs. Filtered and clean email lists most often curb the unsubscribe requests as your mails barge into those email boxes who already have subscribed your newsletter. How to Clean Email Prospect List? Although, no time frame could be established, cleaning of an email list depends on many factors including the age of the list and its size. Purchased email lists, however, needs maximum attention. It’s however recommended, clean your list often. 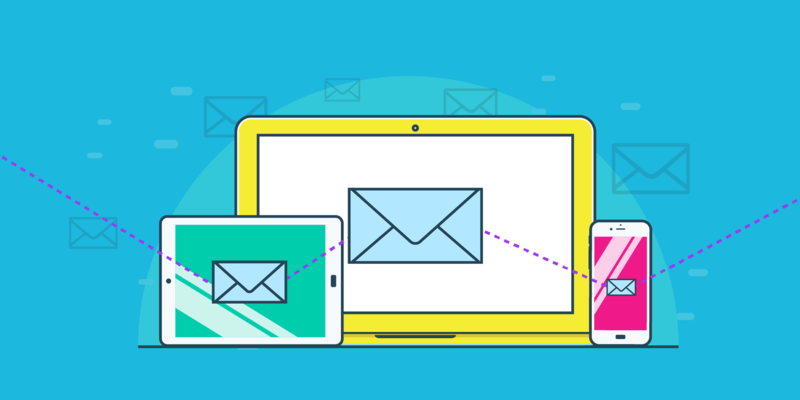 Browse our full bucket of Managed Email Marketing services to find how we can help you in launching an effective, customized and audience-centric email campaign. Most marketers opt for purchased email lists by assuming that it will work quicker. This is indeed not true. With a bought email list, you can’t validate list’s authenticity and source. Since the list is sold to many of the competing marketers, a person who’s already annoyed of tons of service emails like yours simply marks your email Junk. Instead of buying a list or adding people into your list without their consent, make your offers compelling so that they actually want to be on your list. If your offer will be irresistible, they’ll give you their email address. Double opt-in ensures that the people you’re sending the email to are really willing to hear from you. With double opt-in, marketers send an email to the subscriber after they opt-in asking them to confirm their subscription. Once the user clicks the link given in the mail, his subscription is confirmed. Before sending an opt-in offer, do your homework. Offer them something relevant, something irresistible. Spend some time on studying your target market and those buyer segments who could be interested in your products. Once you’ve launched a list building campaign and list starts growing, it’s time to focus on cleaning the list. Here is how you can do this. Pass your email list under thorough check. Go through it and remove bad emails manually. Weed out emails that are duplicate or improperly formatted. Though, it’s time consuming, it will help you in list cleaning at a greater extent. A qualified lead is one who seems interested in your offer but would like to give it a try later on. May be a prospect just didn’t like your first offer, but it doesn’t necessarily mean that he doesn’t want to hear from you and may buy something else. Send them polite reminders to check if they are still interested in hearing from you. Tell them that they once subscribed your newsletter and this is how they got on your list. The people who respond to your mail are likely highly qualified prospects. Keep in touch with them more often and offer them other products or services they need. Unless you know what customers want, your offer can’t add value to them. Your customers stick around as they expect something of value—usually information or some kind of services they need. Our Email Data Mining services help you mine targeted list of potential customers. It allows you have undivided focus on your most targeted buyers. To do so, we take advantage of proven data mining techniques and tools. The best method to know their needs is to ask them directly. Set up a survey and try asking what they are expecting. If the majority of your readers raise the same question, create an information product answering around that question in detail. Only a clean email list can give you better understanding of your audience. It further helps your garner more engagement, impressive results, and higher profits.